Established in 2005 Bushwhackers has definitely made its mark in the outdoor recreational world and has grown to become one of the key retail suppliers of outdoor apparel. 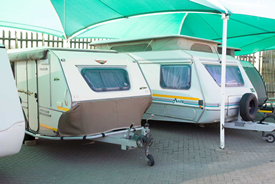 As camping and fishing is a way of life in Namibia, Bushwhackers is geared to cater for all the needs of the outdoor enthusiast and adventurer. You will be in good hands at Bushwhackers while being served by our well trained and friendly staff who lead the life that they promote and have a passion for. Not only do we have the experienced knowledge to advise you but we also offer you valuable back up service. The staff at Bushwhackers also holds close to their hearts the preservation and conservation of our natural resources ensuring that future generations will also be able to enjoy the way of life that we all are currently privileged enough to experience. It is through this vision that Bushwhackers has pioneered a trend for businesses to support and sponsor various conservation projects and those fighting to conserve our natural resources. 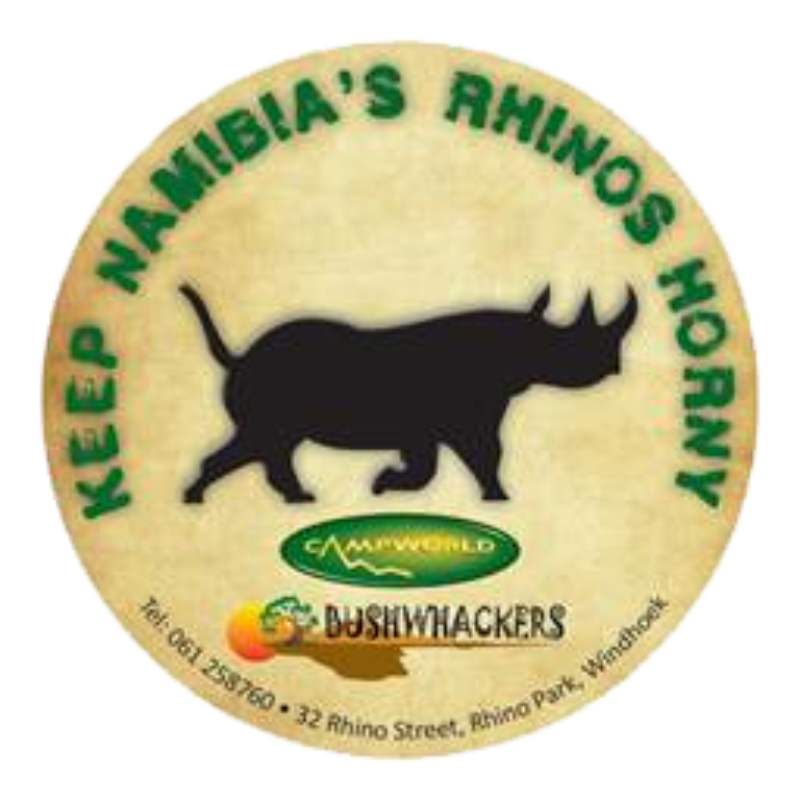 Bushwhackers have the best interests of the Namibian community at heart and are always keen to support various charities and charitable events around the country. 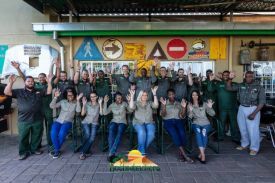 As such, at Bushwhackers, we try to make your shopping experience an enjoyable one, one with fond memories and the peace of mind that you as the client have helped promote conservation and prosperity for all Namibian citizens and visitors to Namibia. Yes, it is OFFICIAL !!! Our New Swakopmund Premises are open ! Bigger, better... the Best! Vistit the Contact us page for location and contact details. Staffed by friendly efficient and knowledgeable people, we at Bushwhackers are ready to amaze you with our large variety of quality products. With something for the men and the ladies this store truly has an unmatched charm and can keep you busy for hours. Top quality equipment and world renowned brands will provide peace of mind that you have purchased wisely. With many brands exclusive to Bushwhackers we are experts in our field and offer excellent back up service. 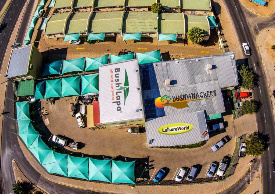 Visit Us If you are planning a great outdoor adventure be sure to visit Bushwhackers in either Windhoek or Swakopmund for a pleasurable shopping experience.